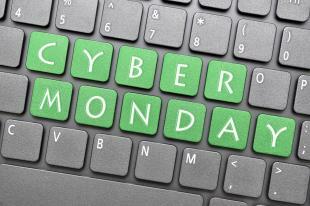 Cyber Monday, following on the coat-tails of Black Friday, is the year’s biggest online shopping day. On this anticipated day, all around the US people will be buying clothes, electronics, and gifts from a variety of websites—some less legitimate than other. Unfortunately this means that there are elevated risks of fraud and cyber attacks. For this reason we’d like to give you the basics of cyber security and the tools you can utilize to make safe transactions online! As technology grows so do the techniques and tools people use to exploit it. Technology makes purchasing easier and more convenient than ever, but that doesn’t mean you can get away with not doing your homework. Luckily we’re here to help ensure that your shopping is as easy and painless as possible this year! Using these tips you can protect yourself and your family from the increasing risk of cyber attack when shopping online. Check out sellers and reviews: There are some sellers that advertise awesome prices, but turn out to be less than savory characters. One of the easiest ways to protect yourself online is Googling unfamiliar websites and checking for negative reviews, warnings from past victims, etc. Tricks involve double charging, never sending products, or simply disappearing after receiving payments. Sometimes attackers will attempt to trick you by creating malicious websites that look as legitimate on surface level as any other web retailer. Keep yourself safe online and only make purchases from websites you recognize or check out websites you want to purchase from to protect yourself! Never use unsecured Wifi to make purchases: Never share personal or financial information over an internet connection that doesn’t require a password. This means you should avoid making purchases and sharing purchase information from a coffee shop. Make you purchases smartly and safely. Using unsecured Wifi greatly increases the risks of shopping online. Make sure the site is legitimate: Know the signs of a legitimate website. These signs include a closed padlock on your web browser’s address bar, links you click matching the landing page they send you too, and the https before the website’s URL. If the URL starts with “http” and not “https” the site is not secure, and you should show caution when putting private information into the site. Record everything: Keep track of how much you’re spending, where you’re buying, what shipping costs are, and check your bank statement to ensure you’re getting charged the expected amount. If you don’t keep track of your spending and bank account you are likely to miss small charges that don’t belong to you. Often, when your information is stolen, small charges will be made to your account before they make large charges. If you’re keeping track of where your money is going, you are more likely to be able to catch fraud early and before it’s too costly. ALWAYS check your bank account: Hands down the best way to get tricked out of your money is to be woefully unaware that you’re losing it. Check your bank account weekly, get the Mint App for your phone to keep track of spending, and set a budget. If you check your bank account against how much you know you’ve spent, you can ensure that you’re spending the right amount. Never give out your bank password: Of all the rules to stay safe online this is rule number one. Avoid purchasing from sellers that ask for this information. Just don’t do it. Ever. Set passwords only you will know and remember that are long and strong. Your password is your last defense; make sure it doesn’t let you down. Spend money this Cyber Monday, and spend it wisely. If you happen to run into fraud or cyber crime be sure to report it and help keep others safe. We hope that these tips on how to protect yourself online will improve your Cyber Monday shopping experience. Good luck and safe shopping online!